Finding enough time for daily obligations is difficult enough, let alone buying wheelchair vans when you need reliable accessible transportation. Our Buy-from-Home opportunity allows our customers to stay home in Binghamton, New York, while shopping online. Our mobility consultant will work closely with you around your schedule to process the sale using the phone and Internet. 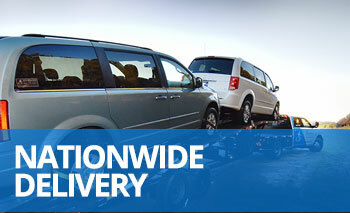 Once the sale is wrapped up, we can deliver your handicap van right to your home or office in Binghamton, NY. An AMS Vans mobility professional can drive your handicapped van to your home or office in Binghamton, New York, and then, drive home. Binghamton, NY, is quite a distance away from our facility in Atlanta, GA. You can prevent extra mileage from accruing on your wheelchair van by choosing to have it hauled on a flatbed trailer rather than driven. Customers who travel to us in Atlanta from Binghamton, New York, normally qualify for an additional discount that comes off the purchase price of the handicap van, just for driving their vehicle home. You'll become more familiar with how your specific wheelchair van operates with our free "White Glove Service." Our mobility professional will show you how to work all the factory-installed and adaptive equipment on your handicapped van, give you some safety and upkeep pointers, and answer any questions you have. Your satisfaction with your adapted van is completely guaranteed at the time of delivery. If you aren't happy with your vehicle for any reason at all, tell the mobility professional when we deliver your van. With absolutely no high-pressure sales pitches, we'll take the wheelchair van back to our office, where we will dissolve the sale and expedite your refund. Before you make a final decision, we are happy to meet at any mechanic in Binghamton, New York, while an inspection is done. As one of the first dealers in the nation to sell handicap vans online directly to the customer, we pride ourselves on our secure and convenient online sales process. 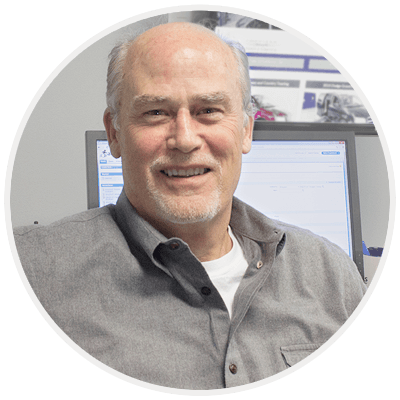 We've been in the mobility industry since 1999 and have become one of the top dealers in the US. Contact a mobility consultant at 800-775-VANS (8267) now to learn more about how our wheelchair van conversions can meet your accessible transportation needs. We'll take a list of your needs and wants and point out several handicap vans for sale in our inventory that meet those expectations. Just choose one to purchase, and we'll do the rest while you stay home in Binghamton, NY. Look on the roads of Binghamton, NY, the next time you're out, and perhaps, you'll see a handicap van that was delivered directly to the customer by AMS Vans.